I have a thing for "Do It Yourself" I recently came across a bunch of pampering DIY's on Pinterest. 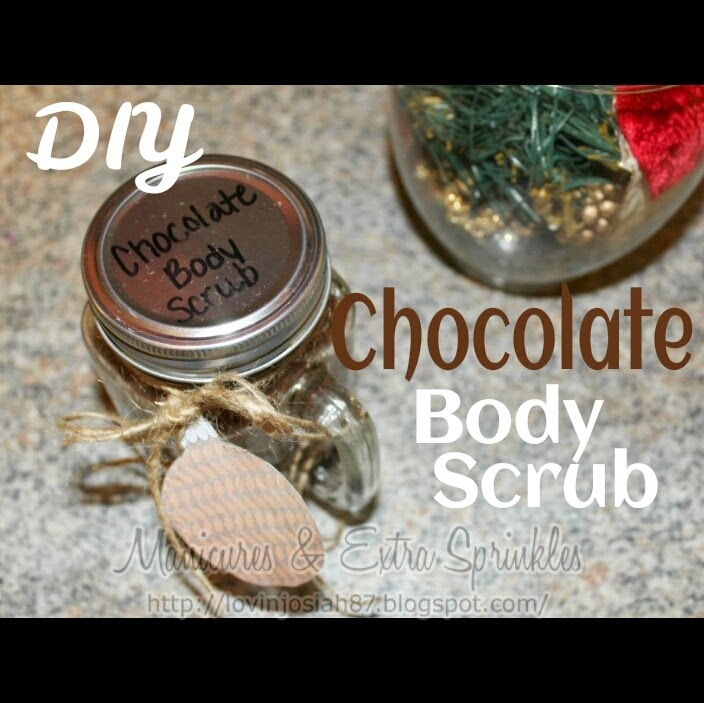 This chocolate body scrub is to die for! It leaves you smelling like chocolate and who can resist chocolate?! Then add the oils and vanilla. Stir until the ingredients have been fully mixed to create a paste to your liking! I have made lemon body scrub that I still use to this day! Check it out, and tell me what you think! I think it's the perfect Christmas gift ;) hint hint!!! Have you made any of these at home? Let me see them!